The unique artistry of Bobby Michelson embodies the bold contrasts of both traditional and contemporary styles into signature, one-of-a-kind furnishings. His repertoire encompasses a wide range of custom pieces in numerous forms and applications. 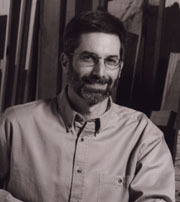 Mr. Michelson has mastered the expert techniques of woodworking and combined this skill with an artist's imagination to create a body of work which stands alone in American and Southern craftsmanship. In his unique pieces, one can see the subtle combination of influences that shaped his artistry. The result is a custom furniture piece that is as beautiful as it is functional -- a unique melding of the artisan's ability and critical eye with the personality and style of the owner.